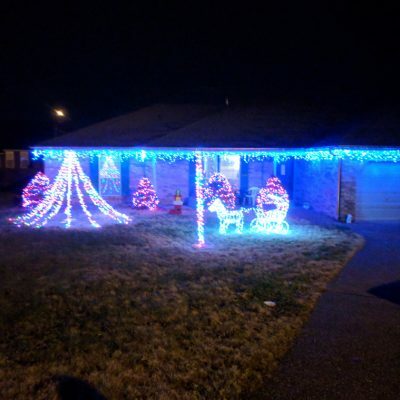 This month we are featuring a Christmas Light Show project by Joel Lindsey. 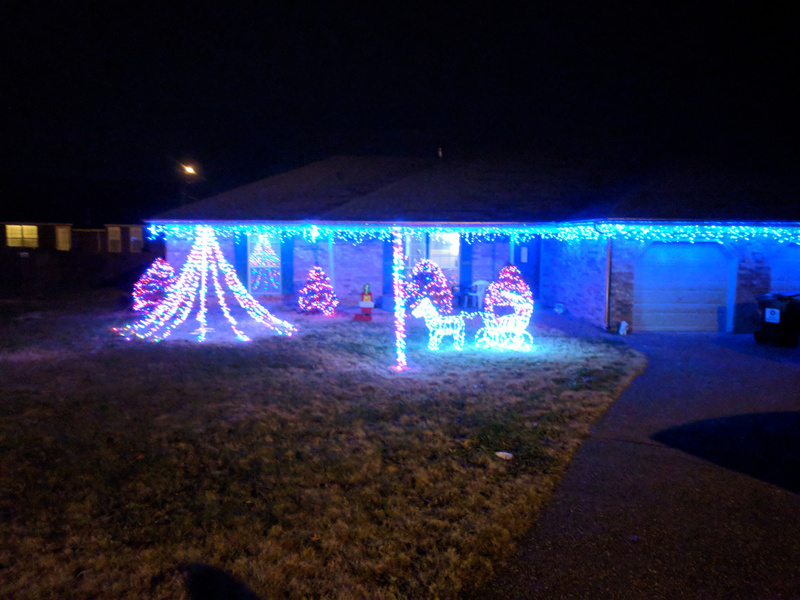 This project takes a Raspberry Pi and synchronizes LED Christmas lights to music. 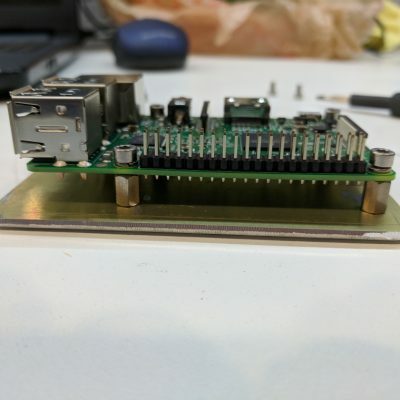 The project was built using a Raspberry Pi 3 as the brains of the light show. 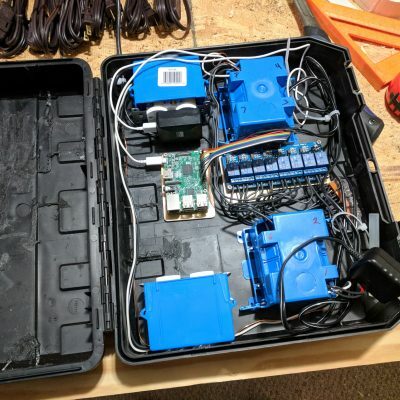 The Pi controls the lights using a Sain Smart 8 channel mechanical relay board which in turn send power to 8 individually controlled outlets that the light strands are connected to. 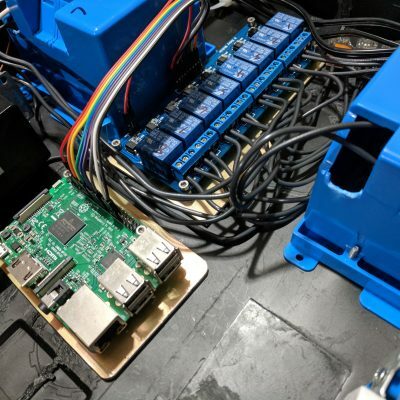 It’s running an open source project called Light Show Pi which handles syncing the lights up to the music and it broadcasts the music using an inexpensive FM Transmitter so that people driving by can tune in to the music on their car radio. If you are interested in coming out to view the light show in person feel free to come out to 109 Stella Ct, Smyrna, TN 37167. The shows start at 6pm, 7pm, 8pm, and 9pm and run for about 25 minutes each. Joel would like to remind everyone to please be respectful of his neighbors and don’t block any driveways or play the radio too loud. 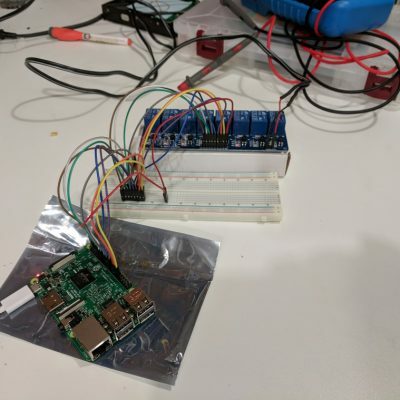 Testing out the Raspberry Pi and it’s control of the relayboard. 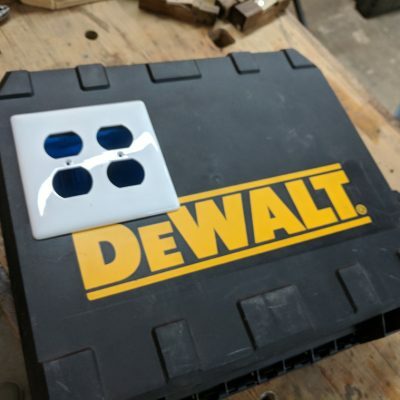 He chose to use an old DeWalt Toolbox to house the project and protect it from the elements. Don’t worry the crimes of horrible cutting witnessed here will be hidden soon. See all crimes are hidden. 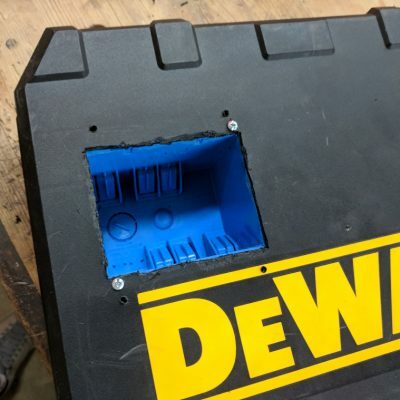 He used part of an old computer case to make mounting plates for the Raspberry Pi and the relay board. 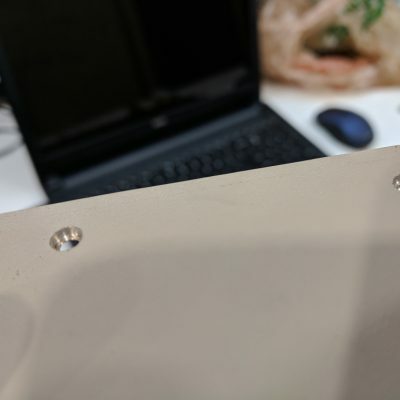 These metal mounts allowed him to use hot glue to fix the circuit boards to the project case. 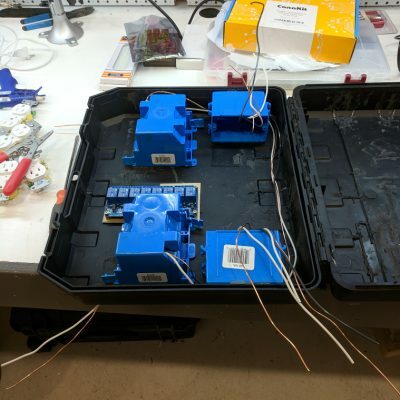 Starting the process of wiring everything up. 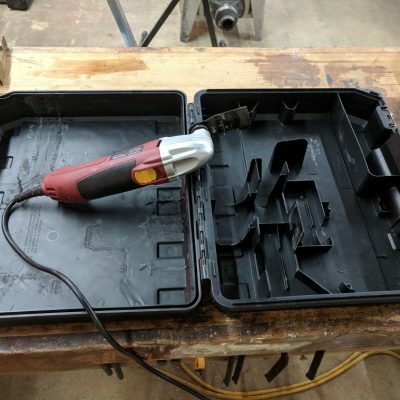 The two outlet boxes that are on the inside are always hot when the box is plugged in. 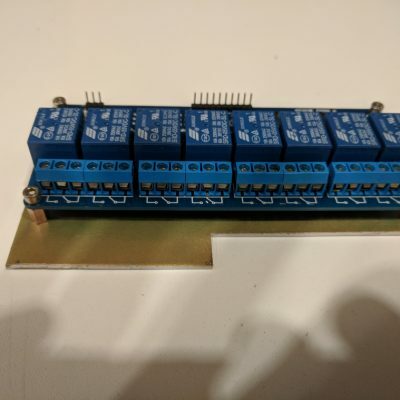 They provide power to the relay board, Pi board, and the FM transmitter. Everything all wired up almost ready for it’s first test. 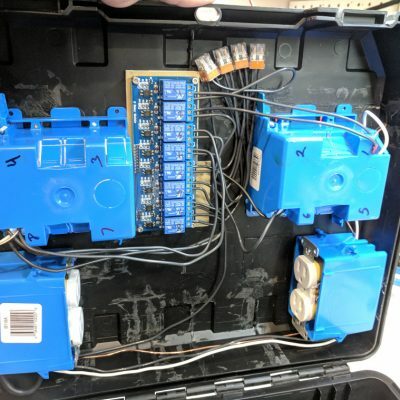 Close up view of the wiring for the relay board. 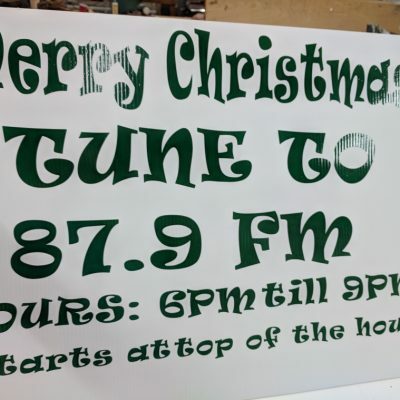 He created this sign using the large vinyl cutter at the maker space. This is a shot of the house with all the lights turned on.